Last month we launched a public service campaign with the support of our amazing students. With Couragion, students share self-reflection comments during their personal career exploration. The result is an ‘insider view’ from the student’s perspective about their perception of careers and what influences and motivates them in their own quest for occupational identity. This student quote features a Financial Advisor who assesses clients' assets, liabilities, cash flow, insurance coverage, tax status, and financial objectives. But most importantly they build and maintain long-term, trusted relationships with their clients. Financial Advisors often top the list of toughest jobs to fill while being both secure and consistently relevant — having a 30 percent growth outlook and an annual median salary of $89,160. 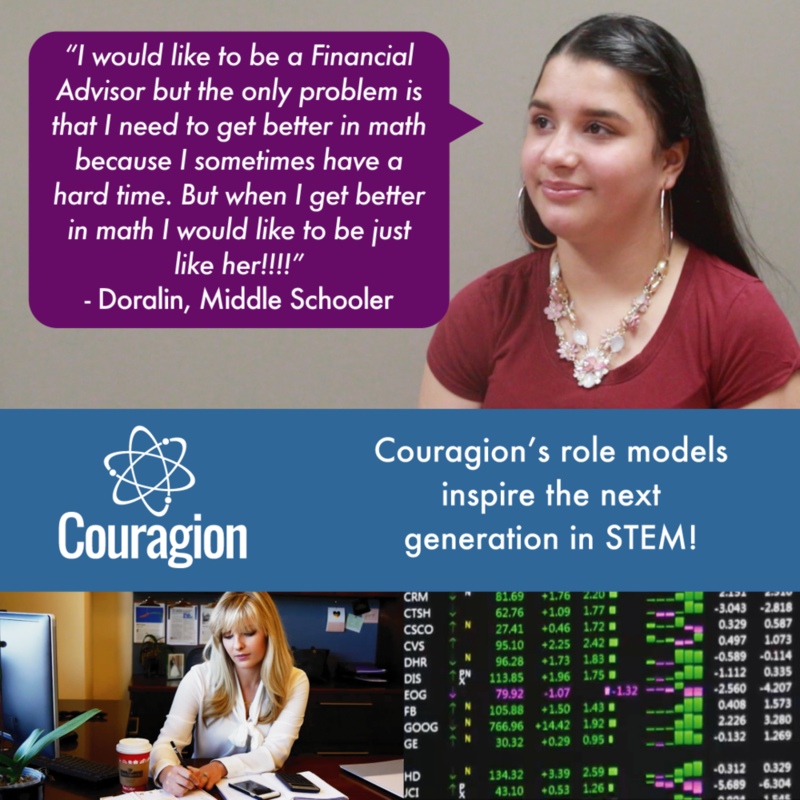 Featured in Couragion’s application (and in our student quotes) are the incredible role models who are serving as an inspiration for the students. Special thanks to Hannah Jo Medved who is a Financial Advisor at Robert W. Baird & Co.! She’s encouraging students with her own personal story, work ethic, and conviction everyday!